Ceramic veneers are one of the most effective and natural- looking cosmetic dentistry procedures available for an extreme smile makeover at our Smile studio serving Preston and surrounding areas. They are are an exceptional alternative to crowns. Composed of a customised, thin ceramic that slides right over your own teeth, They can conceal stains, mask chips, correct misalignment, and create an even, perfect smile. Veneers are an excellent alternative to crowns in many situations. They provide a much more conservative approach to changing a tooth's colour, size, or shape. 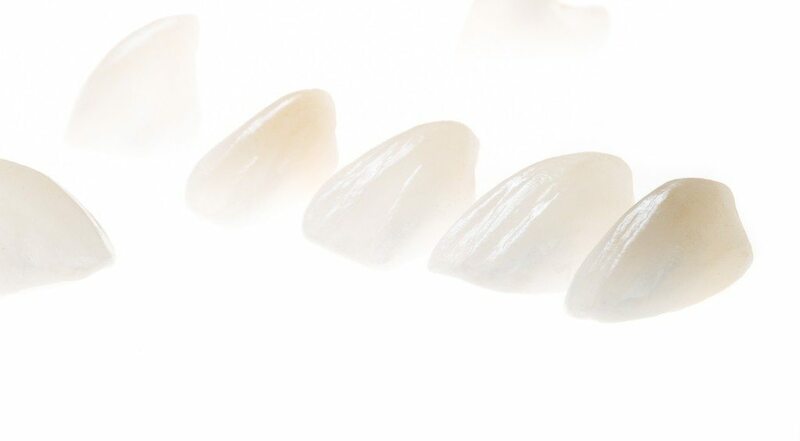 Ceramic veneers can mask undesirable defects, such as teeth stained by tetracycline, by an injury, or as a result of a root-canal procedure, and are ideal for masking discoloured fillings in front teeth. Patients with gaps between their front teeth or teeth that are chipped or worn may consider porcelain veneers. Generally, dental veneers will last for many years, and the technique has shown remarkable longevity when properly performed by highly qualified cosmetic dentist. If your smile needs more than whitening because you have teeth that are chipped, cracked or broken, then consider porcelain veneers. These hard tooth coverings made of high-quality dental porcelain are bonded to the facial side of teeth that predominantly show when you smile. They are strong, long lasting and best of all, completely natural looking. Tooth veneers are a fantastic way to repair or enhance the appearance of front teeth. They can be used to whiten teeth, close spaces and create a great smile. Using dental veneers, Your cosmetic dentist in Preston can even perform virtually "instant orthodontics" to straighten crooked teeth and give you the bright smile you always wanted. Virtually undetectable, ceramic veneers are long-lasting and extremely comfortable. They are resistant to staining, so your new smile will stay beautiful and bright indefinitely. Many patients from throughout the Lancashire area who have had ceramic veneers placed by Dr. Kaviani have experienced the transformed results of a smile makeover. To learn about these experiences with dental veneers ,please visit our Smile Galleries. Cosmetic dentist ; Dr. Kaviani views Aesthetic based dentistry as an art form. She is a master at matching tooth colour and form and is an educator in the area of full smile design. She adds an element of artistry to create smiles that enhance the entire person, highlighting their positive facial characteristics and creating a smile that is a natural and healthy looking fit.